A popular and contentious argument around creativity in planning comes from author Richard Florida. Florida argues that economic prosperity follows the Creative Class, a group of highly-educated workers who “create.” This group includes tech workers, scientists, researchers, artists, designers, and others. Florida argues that, to attract this Creative Class, cities should focus on “technology, tolerance, and talent.” Many of the authors in this volume take issue with this idea and argue that this agenda, in practice, has more to do with capital than with creativity. This volume revisits the Creative Class thesis and arrives at a different conclusion—planning for creativity must focus not only on maximizing revenues or attracting capital, it must also address the way that the arts contribute to more equitable, livable, and inclusive cities for all. Authors in this volume grapple with the meanings of creativity and placemaking and provide insights that have helped us think through planning practice as it relates to the arts, artists, and creativity more broadly—topics include creative workforce development, community engagement with artists as communicators, and thoughtful and artistic affordable housing in rural areas. 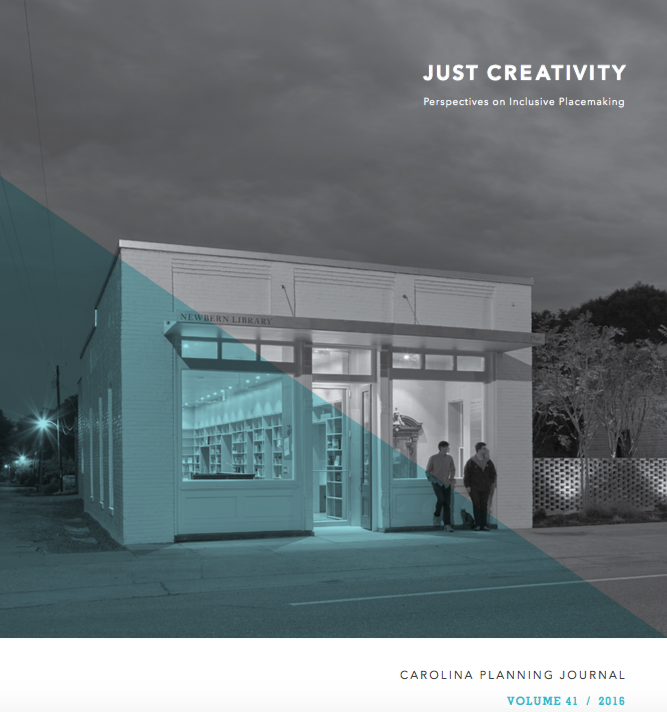 With a more nuanced view of creativity in planning, this volume takes a particular approach to considering the role for artists in planning and community development. In her review of The Social Life of Artistic Property, Mia Candy (DCRP ‘16) writes that “idealism, romanticism, and impracticality are necessary for the creation of [utopian] space, but sustainability lies in practical engagement with the market and the law.” This perspective honors artists as those with special insights into beauty, livability, and engagement, or what ought to be, and honors planners for their practical and technical engagement with what is. We believe that this is a beautiful way to think about the contributions of both artists and creative professionals and about our own applied work. A digital version of this edition is available here.